A couple of years ago I bought some Red Heart Strata yarn to make the 4-color spiked basket. I JUST got around to making it. I love this yarn but unfortunately they already discontinued it. That is so frustrating and happens often. Even though this yarn is discontinued, there are other jersey knit yarns out there. One that is comparable is Bernat Maker Home Dec by yarnspirations. The 4-color spiked basket is called Himalayan Basket by pattern-paradise.com. You can find the free pattern here. The pattern was well-written and it worked up fast. Since the yarn was discontinued, I wanted to use up the extra’s from making the Himalayan Basket. I found a simple free pattern called Modern Nesting Baskets by Jennifer Dickerson. The pattern is here. I had fun mixing up the colors and sizes. I really like these baskets, especially the smaller ones. 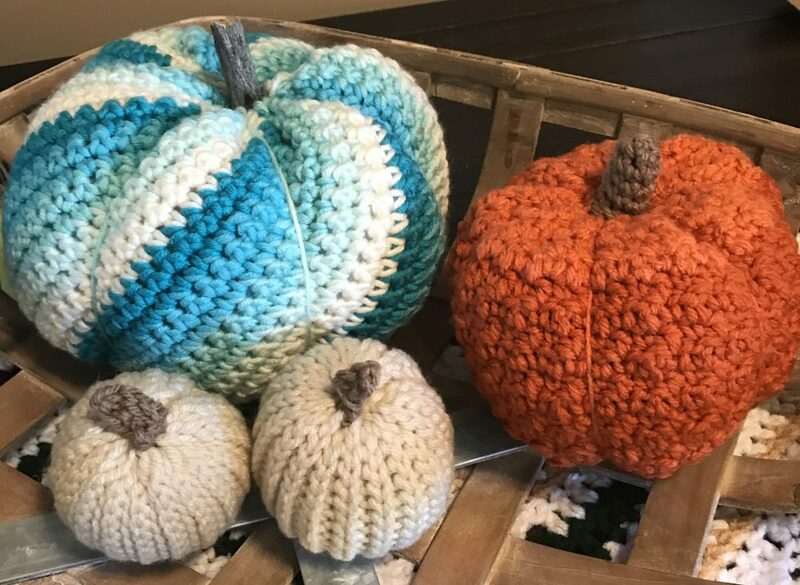 This entry was posted in Baskets, Crochet and tagged Baskets, Crochet by crochetbywendy. Bookmark the permalink.